Most parts of Northwest Plains including Delhi-NCR, have received rainfall activity in varied intensity during last 24 hours. In fact, Safdarjung observatory of Delhi recorded 3.4 mm of rain and Palam 1 mm of rain. Moreover, many other locations have received intense showers for a short duration during the early morning hours. 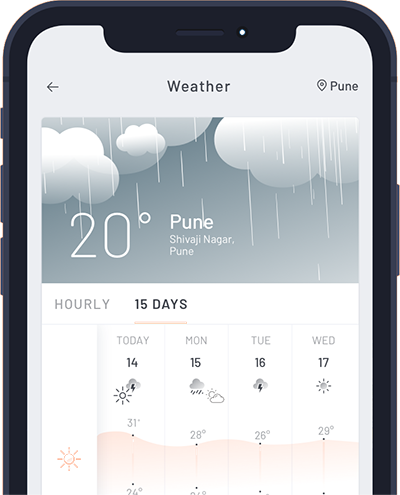 In the last 24 hours from 8:30 am on Tuesday, other stations of Northwest India have also recorded rains as follows - Kapurthala 30 mm, Ambala 4.4 mm, Chandigarh 0.9 mm, Faridabad 9.1 mm, Hisar 1.3 mm, Kurukshetra 3 mm, Pathankot 9 mm, Jalandhar 1 mm. Today, Monsoon has covered most parts of Uttar Pradesh and has reached up to North Punjab via Uttarakhand and Himachal Pradesh. Currently, a cyclonic circulation is seen over Northwest Rajasthan and a trough is extending from this system up to Odisha Coast across Rajasthan, South Haryana and South Uttar Pradesh. Therefore, we expect good rains to continue over North Rajasthan, Punjab, Haryana, Uttar Pradesh and Delhi. 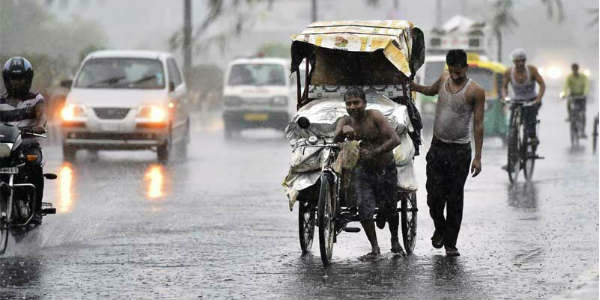 Moreover, we can also say that Monsoon is all set to mark its onset over most parts of northwestern plains including Delhi-NCR region during the next 24 to 48 hours.